Located on a 2,000-acre preserve in Pine Plains, New York — just 90 minutes from New York City — the Mashomack Polo Club is a full service club for polo players of all levels. Mashomack Polo has undertaken a multi-year capital improvement program and now features five tournament-class fields, one practice field, stick and ball acres and a regulation outdoor polo arena. Stabling is available on a first-come, first-served basis, as is turnkey boarding for players with smaller strings. Mashomack Polo offers league polo from 4 goal to 12 goal and various tournaments such as the prestigious USPA Eduardo Moore, the USPA Officer’s Cup, the USPA Constitution Cup and the Tracey Mactaggart Challenge Cup. There is polo to suit every level of player from June through September. Spectators are encouraged to attend our matches and tailgate. Please check the Polo Schedule for exact times and dates. 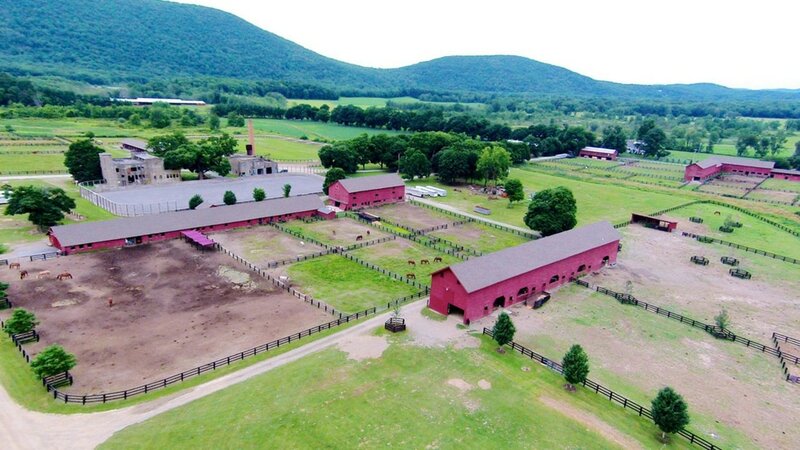 ​Over a forty-eight month period, an extensive renovation resulted in the preservation and update of many of the barns on the Mashomack Polo Grounds. These barns will now remain an historical landmark to be enjoyed by future generations. Many of Mashomack's barns were built during the 19th century to service one of the largest dairy operations in the Northeast. At its peak, the original dairy farm encompassed some 7,800 acres and provided fresh milk to customers as far north as Albany and as far south as New York City. Over the years, the barns were adapted to support beef cattle, other livestock and farming operations. In the 1980s, many of the buildings were converted into horse facilities, and most recently they have been used for stabling, storing farm equipment, the raising and housing of sporting birds, and the housing of the Triangle Arts Workshop. Unfortunately, prior to 2005, little was spent to maintain the barns, and as such, Mother Nature had taken her toll. There are several worthwhile organizations that donate money to preserve public historical landmarks, but as Mashomack is a private club it has been up to the members to raise the money needed. We are steadfast in our mission to bring these historic barns and the surrounding grounds to their original beauty, and we thank all our supporters and guests in helping with this mission.